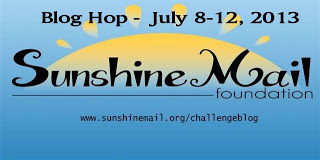 Thanks for stopping by to join in The Sunshine Mail Foundation's exciting Blog Hop this week, July 8 -12, 2013. Each member of the Design Team will feature digital images from the following sponsors, Stitchy Bear, Eureka, Paper Nest Dolls, Digi Darla, and Milk N Coffee, and we're sure you're gonna LOVE them! 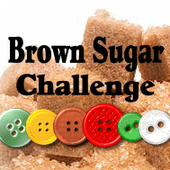 You can win sponsored prizes by (1) Following the foundation's blog, (2)Adding our blog hop link on your blog, (3) Visit and comment on each Design Team member’s blog during the blog hop period. Beatiful combination of pattern papers, and love the hot hot pink!